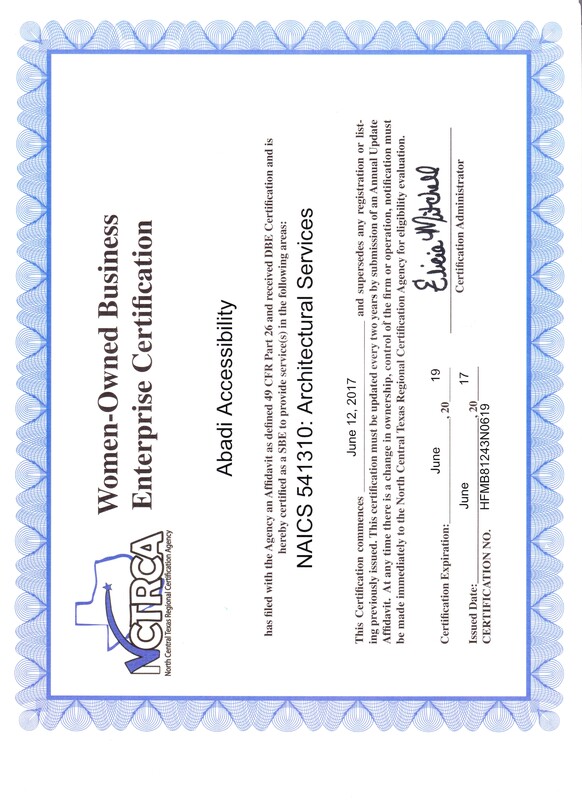 Marcela Abadi Rhoads, AIA RAS is the owner of Abadi Accessibility, an accessibility consulting firm that is dedicated to educating the building industry about the laws of accessibility. She is the author of “The ADA Companion Guide” and “Applying the ADA” published by John Wiley and Sons. She received her Architectural degree in 1991 from the University of Texas in Austin. She is one of only 500 Registered Accessibility Specialists in the country and is considered an expert in the field. Marcela is sought after by owners and architects across the country who look to her for guidance to understand the accessibility standards throughout the design and construction process. In 2011 she was nominated by the Texas Association of Mexican-American Chambers of Commerce for the award of “Texas Top Hispanic Business Woman of the Year”. She assists the building industry, in part, by producing a monthly newsletter and weekly Blog to educate on the best way to apply the standards to their architectural projects. 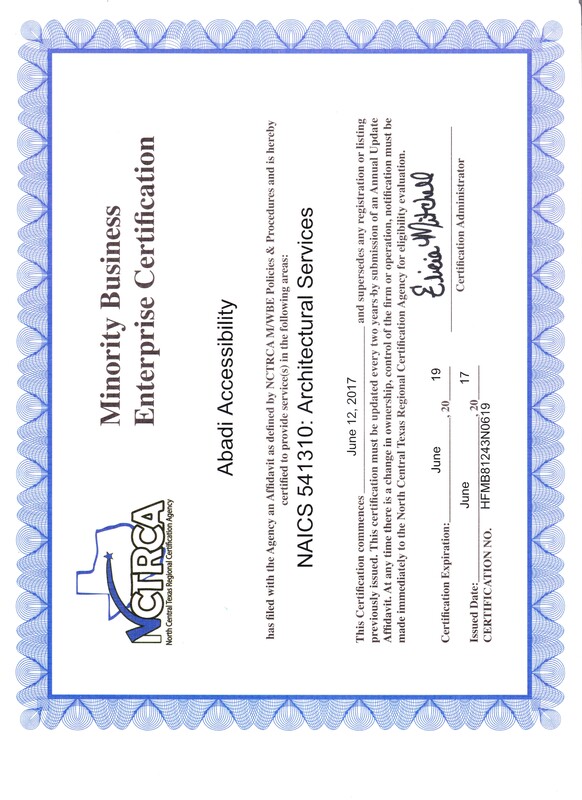 Abadi Accessibility performs TAS plan reviews and inspections, ADA Assessments, Expert Witness and ADA Training when requested. NCTRCA Women-Owned Business Enterprise Certification HFMB81243N0619.